Walk down the roads leading to beautiful lakes bordered by the tall trees and enjoy the mesmerizing spectacle of the Nordic beauty in the form of Sweden. Never ever you will find a country which is so close to nature and yet so cosmopolitan by all means. 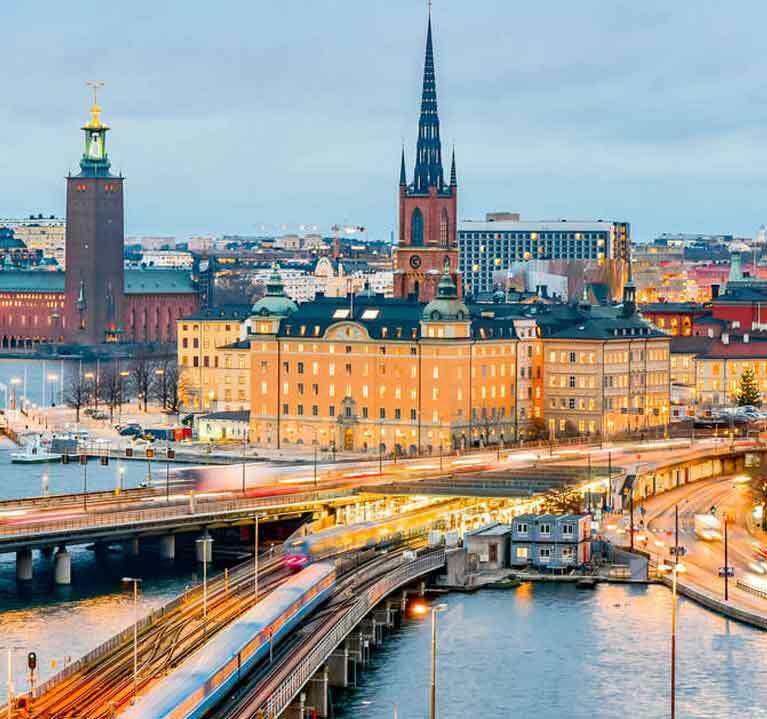 The vibrant cultural mixtures of Sweden will make you feel all welcomed as you will encounter people from different countries in the stores and the pickled herring restaurants. 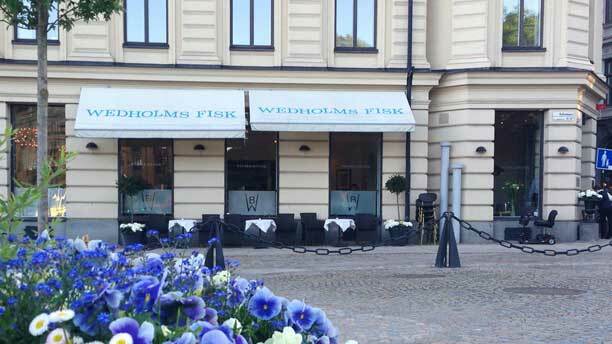 Savor your "fikas" (Coffee breaks in Swedish) and witness the liberal and open attitude of the people around there. 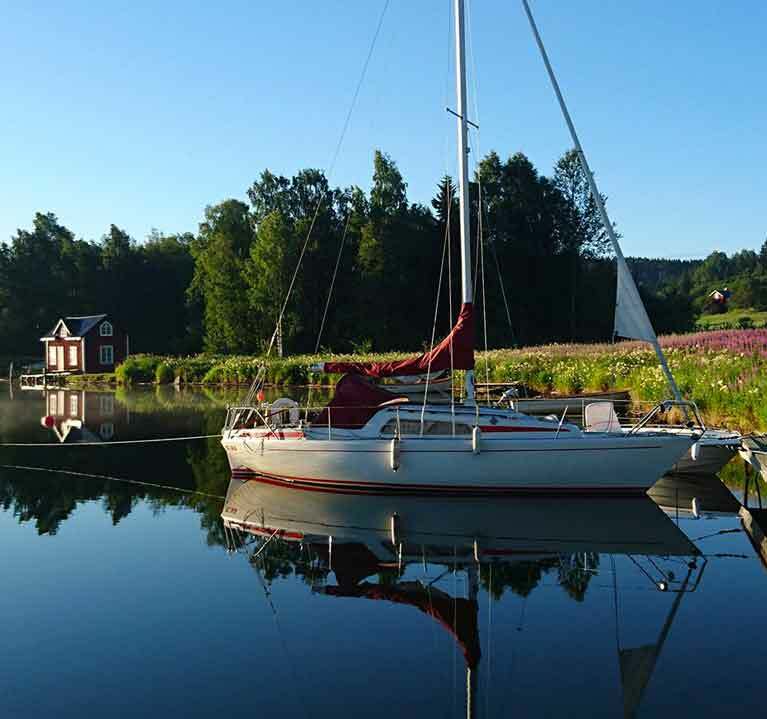 Get overwhelmed by the natural beauty of the colossal Lake Vättern and walk past the enchanting Göta Canal and go on a mind-blowing cruise ride. Pitted with wee islands and lakes in the south, and snow-clad mountains in the north, Sweden is all set to offer you some marvelous treats. 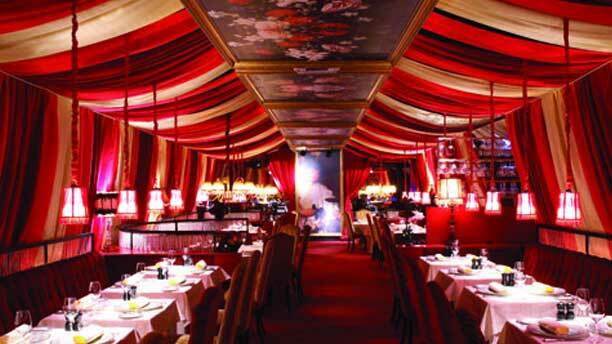 Check out these amazing 8 attractions which will be a sin to miss for you as a tourist. 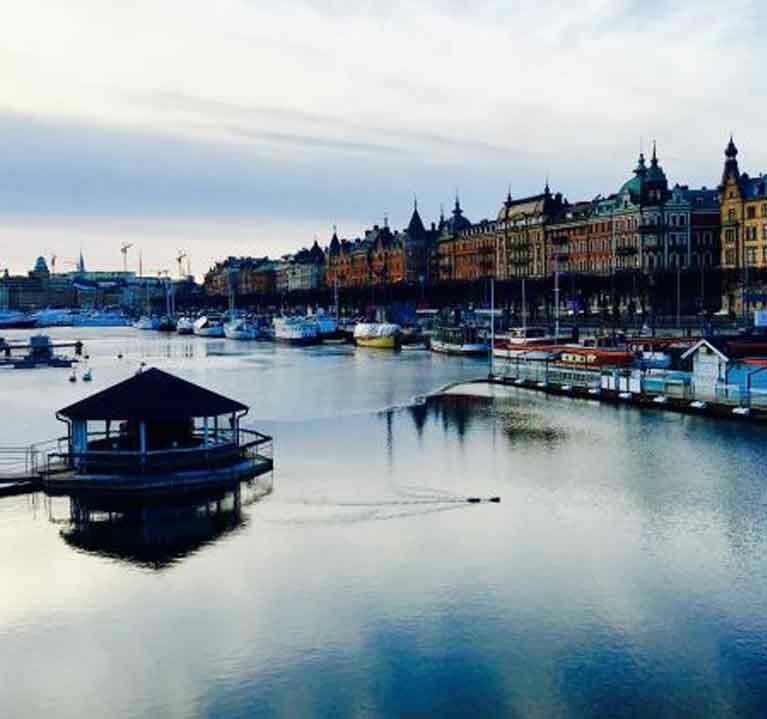 From the palaces to the skiing resorts every destination is tempting here in Sweden. 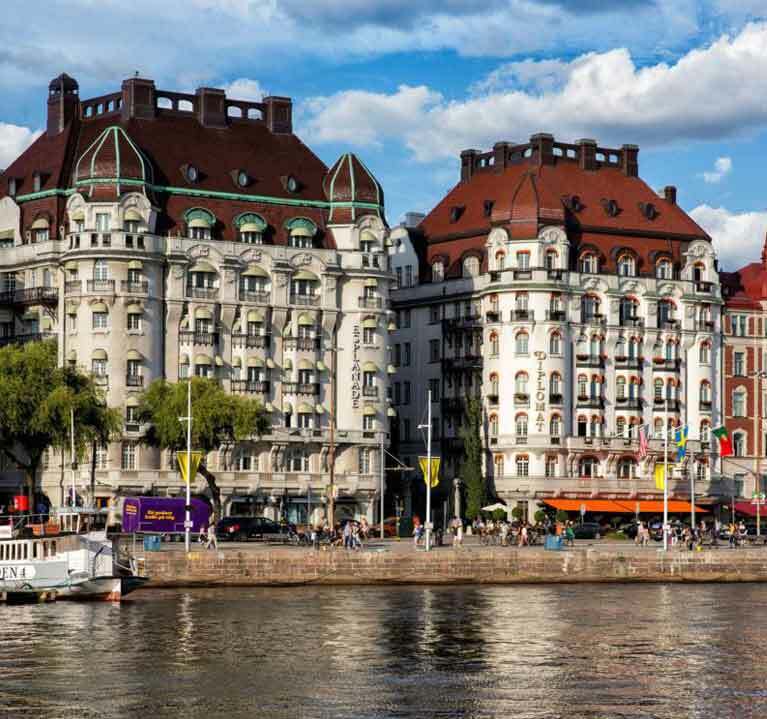 Like any other classic European cities Stockholm is also a combination of cosmopolitan culture and well-preserved history. This palace is yet another example of how history is restored and maintained . This is the private residence of the Swedish Royal Family, and built in the 16th century the tour of this palace comes with a view of the garden.. Now considered as one of the UNESCO World Heritage sites this destination has many mementos of Swedish glory. The trophies collected from the war are preserved carefully in certain areas of the museum. Like for instance you can witness some Bronze Statues from Denmark and Bohemia which the Swedish monarchs of the past have won and brought back home. 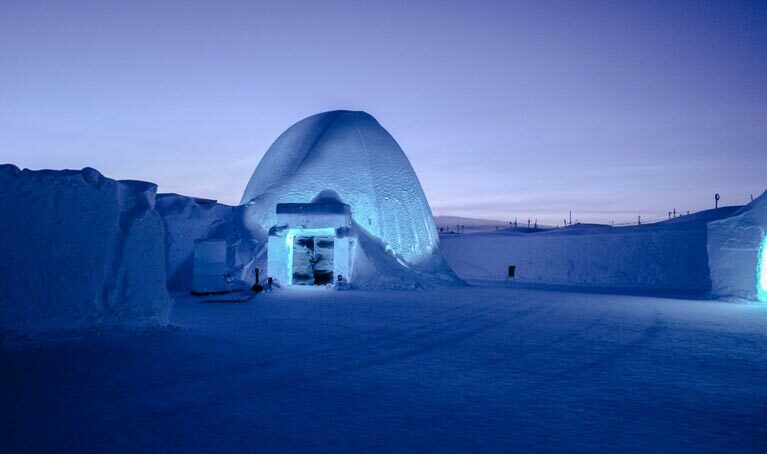 The Ice Hotel at the city of Jukkasjärvi is certainly one of the major attractions in Sweden. It is in fact world's first Ice Hotel and it is entirely constructed from ice formation in the river Torne. The river is very close to few of Sweden's highest peaks including the likes of Kebnekaise. The Ice Hotel is not a monument but you can actually stay inside it. With full furnished rooms and other facilities it is all poised to offer you the perfect experience which you are sure to not enjoy anywhere else in this planet. Apart from living in such spectacular fairy-tale mansion a stay in the hotel will also allow you to go for many outdoor activities like canoeing, paddle boating and even fishing. 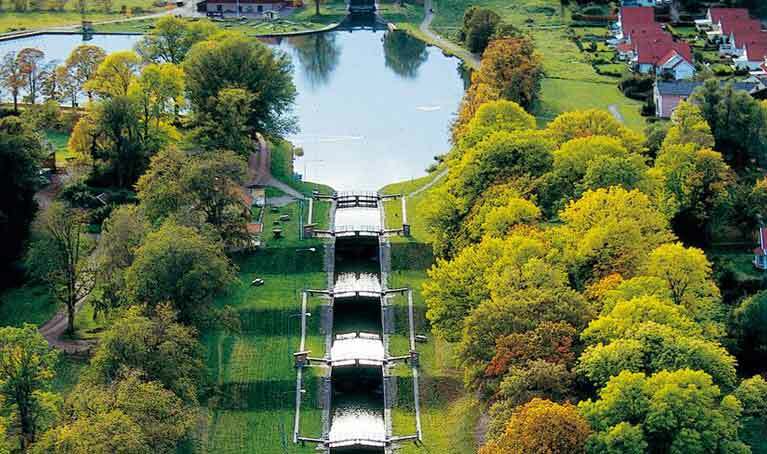 This 19th Century canal at the heart of Sweden is one of the major tourist attractions in the country of Sweden. A beautiful cartel of over 47 bridges and more than 50 small canals this place has evolved into an enchanting spot for the tourists to come and enjoy the view. What is more fascinating is that there are cruises you can avail which will take you down for the canals and offer you a marvelous ride through the streaks of waterways. There are also some big and small lakes (as it is very common for a Nordic country like Sweden) where you can enjoy some boating and also fishing with permission. 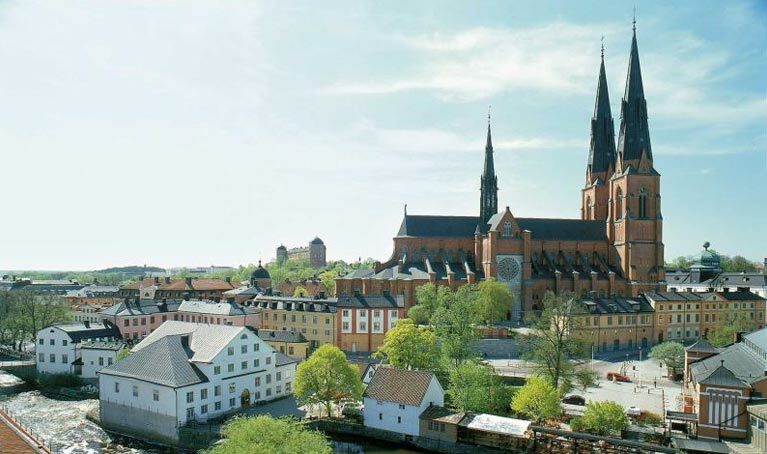 Yet another charming medieval Swedish town which is also enlisted amongst the UNESCO World Heritage sites. Commonly known as the Pearl of the Baltic, and for good reasons, this 17th century town has a magnificent collection of timber houses and charming cobblestone paths. The walls situated inside the town dates back to more than 700 years and they reflect on to how the city used to be guarded against the ancient enemies. It is more like a historic tour and you will definitely feel like not going back to the harsh reality of a city life, once you enter the gates of this quaint little medieval town. Once you reach the Swedish Lapland of Jokkmokk you will encounter one of the oldest national parks of entire Europe. This national park has as many as six Swedish mountains and it s a paradise for the hikers. There are waterfalls and rivers along with various glaciers and mountain peaks in the national park. According to the latest records the area has over 100 peaks and 200 glaciers in this densely covered national park. Hikers can also encounter the various exotic Swedish flora and fauna whilst strolling down the mountains and walking pass the mountain banks. The architecture of Domkyrka is also a famous cathedral, standing tall as one of the largest churches in enter Scandinavia. The cathedral was built back in the 13th century and since then many Swedish Royals have made it their final resting place. Whilst the exterior architecture is simply breathtaking the interior of this church is equally beautiful. Upon entering this cathedral you will get to know the various tales and history of the place. The entire church stands pretty tall with the spire reaching a height of 389 feet with an overall width of 148 feet. Also known as the Öresundsbron this bridge is a very vital bridge of Europe. This bridge covering miles of road over the sea, connects Sweden with Denmark. It is one of the busiest border crossing bridges in the world and it directly connects the Swedish city of Malmo with the Danish capital of Copenhagen. 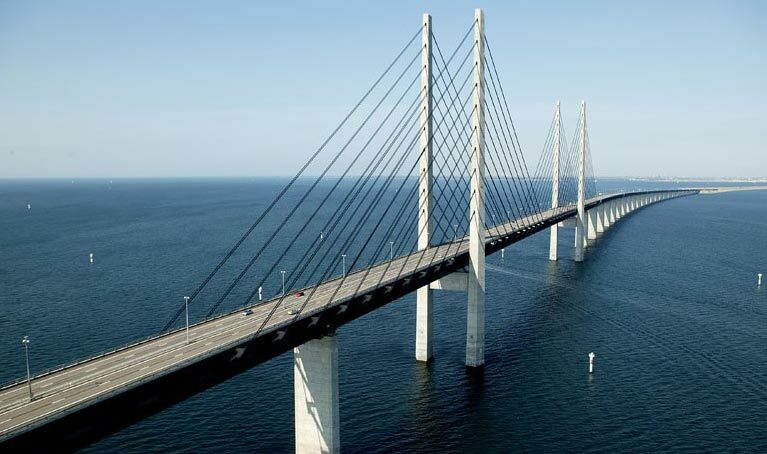 Though many people, mostly business-people and cross-border negotiators cross the bridge by driving in the cars, the good news is that the bridge is open for tourists and if your visa permits you then you can take a train or a bus and cross the bridge and visit Copenhagen for a day. If you are an adventure junkie then this charming ski resort located in the high altitudes of Jämtland region will offer you everything that you need. From cozy motels to fantastic eateries, from over 100 slopes to about 40 ski lifts, this place will trigger your wild side and will allow you to indulge in various snow-based fun. The area has three major skiing areas including the likes of Duved-Tegefjäll, the High Zone, and of course Björnen. If you are travelling with your family and not too much accustomed to skiing then Björnen will be your perfect choice because the slopes are bigger. The High Zone, however, is always crowded and it is preferred by the professionals. 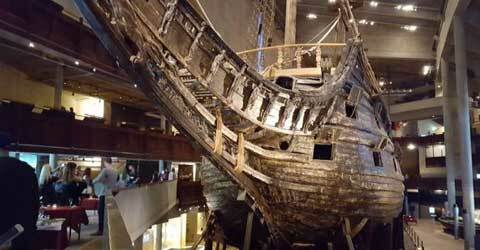 Take a trip down the island of Djurgården in Stockholm to see the museum which has in its display all the salvaged ships from the 17th Century. The place is certain to give some shiver in your spine as you can witness the perfectly preserved ships from the times of the vikings and pirates and see the kind of ammunition they used to carry. Most famous among all the exhibits is certainly the mid-century Swedish battleship, the Vasa, which sank during its first trip. As luck would have it, the ship was undiscovered for two centuries, till the Swedes finally found it in the year 1961. Also known as the Royal Palace this Baroque-style palace is certainly worth a visit. The guided tour includes the visit to the various royal museums and the massive library. The tour is an absolute classic for the history lovers and the tourists who have a thing for books. 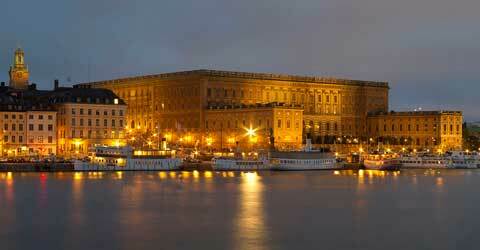 Located in Stadsholmen in Gamla Stan, this palace has some exotic appeal and a marvelous history. The castle was built in the 18th century on the exact same spot where the “Tre Kronor” castle was once burnt down back in 1697. For Indians the ideal time to visit Sweden would be during the summer months from May to September. 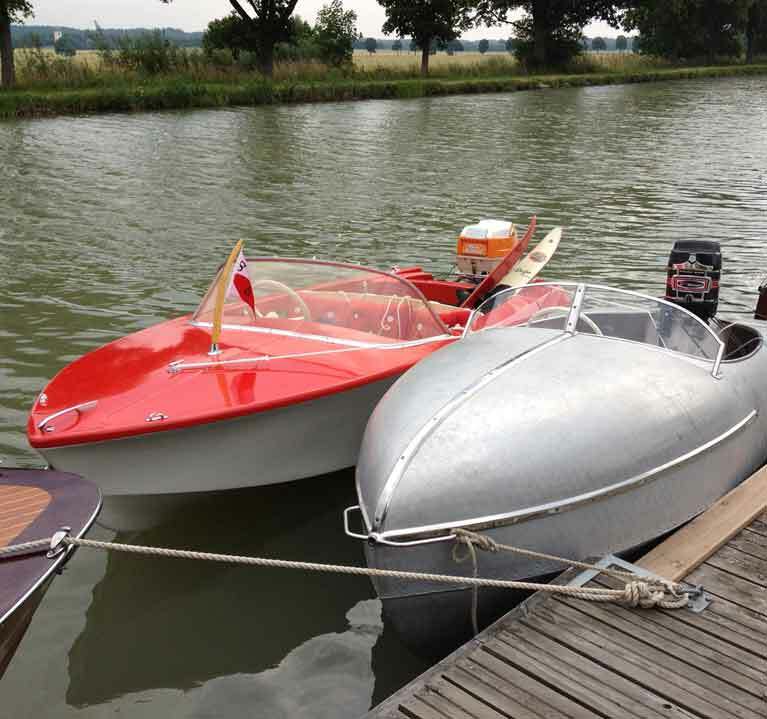 The weather remains ideal for long trips and boat tours and you are guaranteed a lovely time. However, if you are looking for a good old Nordic snowfall then you should definitely plan your visit between November and March. Also if you are looking for a glimpse of the famous Midnight Sun in Sweden then you must definitely visit during June and July. The summers are actually ideal for Indian travelers because the winters are pretty harsh for the Indians. High Season: Summer is most definitely the peak season for tourists as the temperature remains around the 20 degree Celsius and the sunny weather allows you to enjoy the boat rides and the beaches. Spring is also considered to be the peak season in Sweden. Shoulder Season: Autumn is most definitely the shoulder season when it comes to Sweden. The temperature drops below 10 degree Celsius and if you can manage a little bit of chill then it could just be the perfect season for you to go there and avoid the crowd. Low Season: Winter is certainly the low season for travellers in Sweden. Most of the places, especially in the north, are closed for tourism during this season and in fact the sun is practically missing during this season. Unfortunately no direct flights connect India to Sweden as of now. However, you can definitely book some connecting flights with the airlines like Lufthansa, Swiss, Finnair, Air France, British Airways, Turkish Airlines, and many other international airlines. The flights are available on a regular basis and you can book the entire trip online. Due to the high altitudes the sky is not always clear. There could be heavy snowfall which might delay the connecting flights by some extent. However, the wait for the flights is completely worthy because once you reach Sweden it is an absolute heaven. 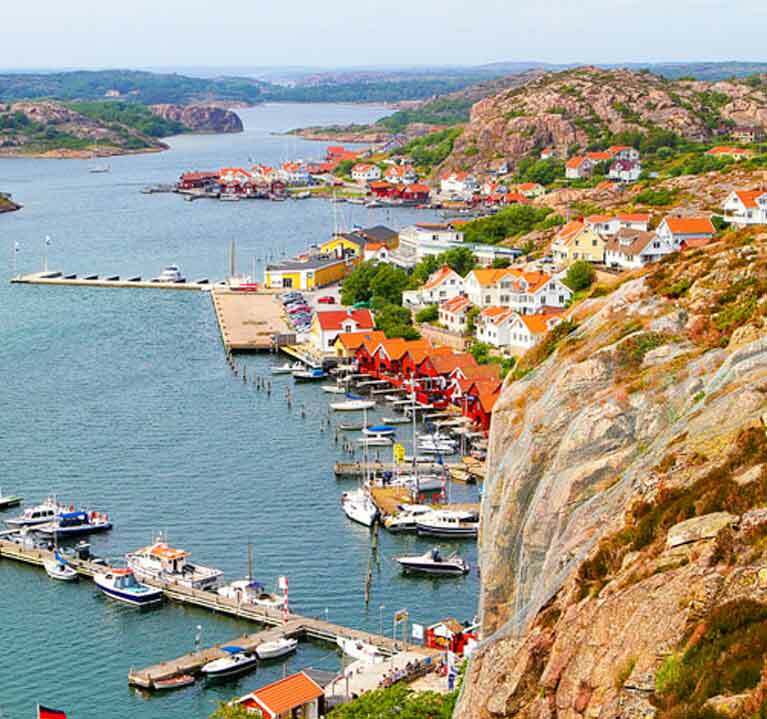 Sweden is one of the most attractive and tourist-friendly Nordic nations. With marvelous lakes and island clusters this Nordic country offers an experience to rejoice. The dense forests and the outlandish natural phenomena will create a trance on you. The extraordinary city life and the charming appeal of the medieval towns will transport you to another dimension, altogether. 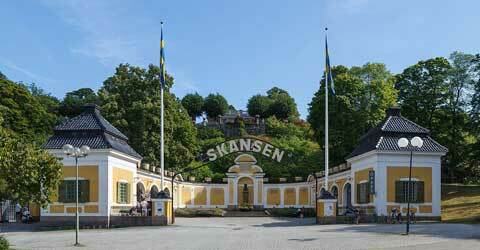 You can explore the old towns of Stockholm and savor how well-preserved the history is. Sweden is by far the most liberal country in the world and you will enjoy a truly cosmopolitan and inclusive society. Sweden is the land of Mid Night sun and the Northern Lights. Visit this marvelous Nordic country to enjoy these spectacles of nature. Sweden is a perfect place for outdoor activities like skiing, hiking, and trekking. You can visit during the winter months to enjoy such fun. You will also get a chance to see the Nordic wilds in the form of Moose, lynx, and artic foxes-animals which you will never encounter anywhere else in the world. Try your hand at mushroom picking with the locals and it is something which you will definitely savor. Enjoy a massive crayfish party, only in Sweden, where you can connect with the locals and have a fabulous time. 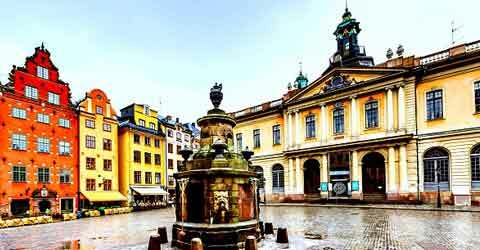 If you have grown-up reading stories about castles and princesses, then Sweden will make your dream come true as the towns are filled with castles and palaces. Witness the Viking Heritage of Birka and relive how the ancient Nordic people used to live in these sea-shore villages. Enjoy a fabulous Sauna which is an integral part of the Nordic lifestyle. Public transport in Sweden is scarce when compared to the other European city. But there are connecting vehicles available within the cities and the towns. 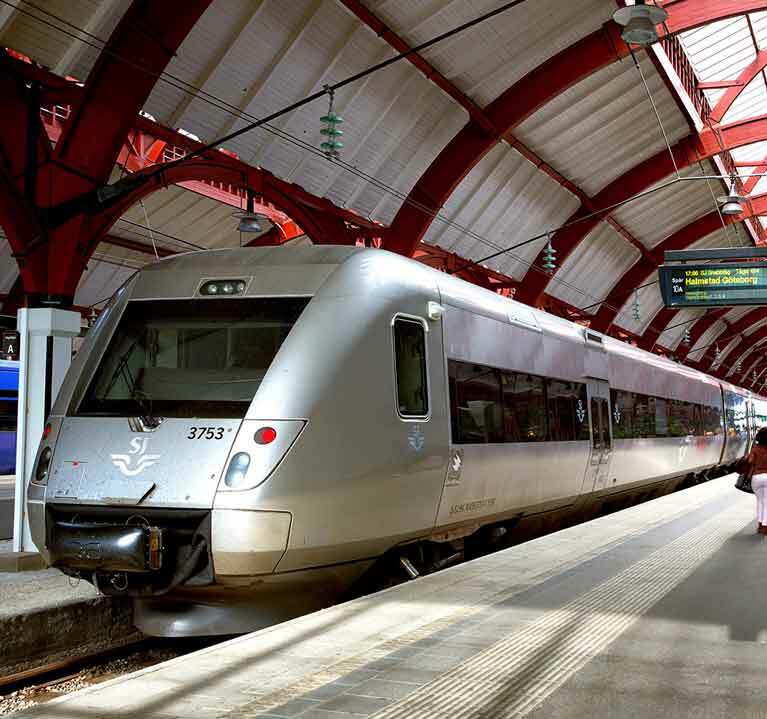 Trains are the most affordable way of commute when it comes to the Nordic countries, whilst there are ferries and boats available for you to travel from one island to another. Sweden boasts a huge network of trains and the easiest way of commute is definitely via the trains. The trains are frequent and you can actually manage a same day booking unlike many other European countries. Intra-city travelling can be done with the help of buses. 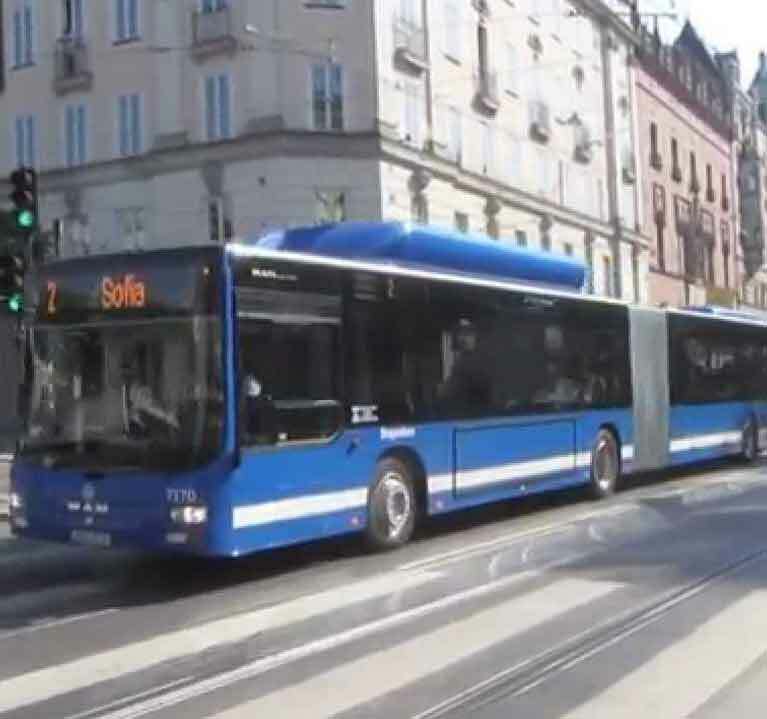 The bus service along with other public transports in Sweden are quite well-operational. 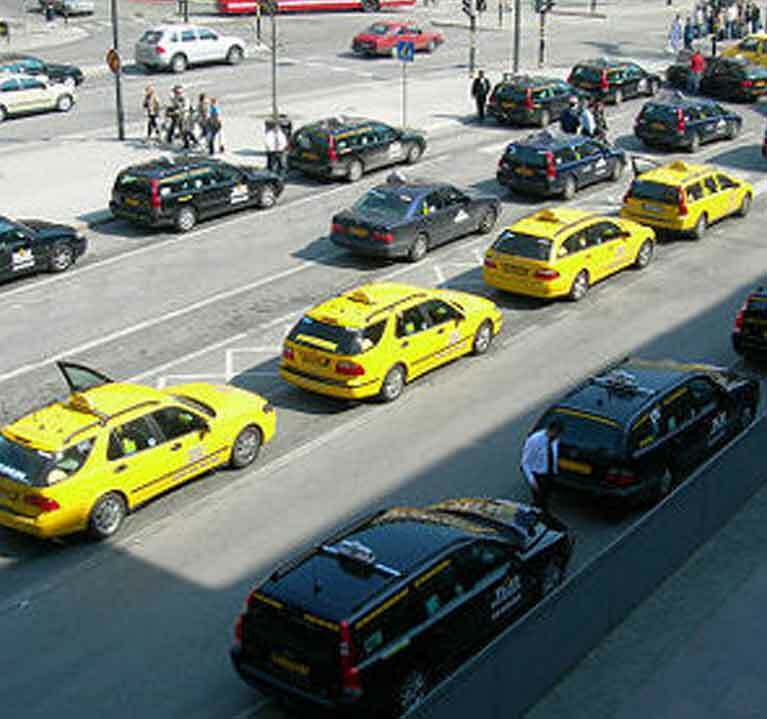 If you want to enjoy a charming ride down the countryside of Sweden then a taxi or a rented car would be perfect. There are many private and government agencies running these taxis. Boats are the only way of conducting a proper island hopping in the coastal areas of Stockholm. Once known to be the home of the Vikings, boats are till now one of the easiest ways of commute around the country. Despite the fact that Sweden is located pretty high-up in the North the temperature of the country remains relatively mild throughout the year. However, the winters are quite harsh. The minimum temperature recorded in Sweden is minus 52 degrees. That is why it is important that you avoid the months like December and January for your travels. The gulf of Bothinia and the several lakes of Sweden makes the climate pretty pleasant during the summer and the spring but at the same time it makes the weather extremely cold during the winters. What to take in your suitace? The weather is a bit nippy and unpredictable in Scandinavia and for that reason you need to carry certain layers of clothing. Even if you are reaching Sweden during the summer time it is advisable that you take at least 3 jackets, 2 fleece or sweaters. Whislt you venture up to the north it might get cloudy and start raining at any point of the day. That is why you need to carry raincoats and umbrellas. Carry a lot of socks if you are planning on hiking down the Swedish trails as the melted snow will certainly make your socks wet. Carry at least 4 pairs of trousers and 4-5 scarfs for the trip, as the temparature can dip all of a sudden without any warning. Knit caps also prove to be handy as they will protect your scalp from the snow-flakes and the rain in Sweden. 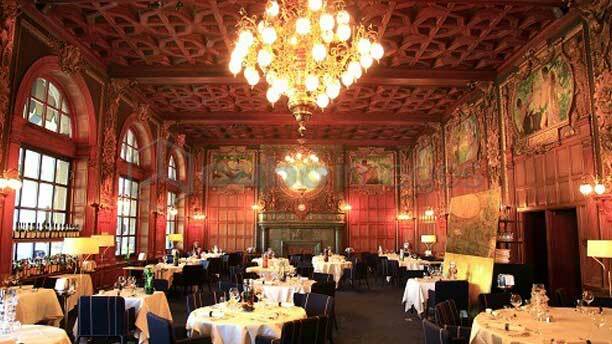 Sweden has plenty of Michelin Star restaurants and fine eateries for the tourists to come and enjoy. 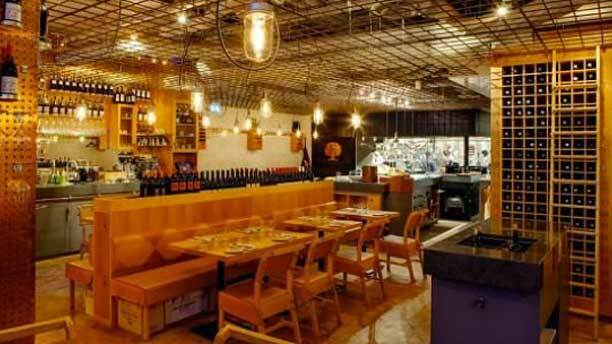 The traditional Swedish restaurants offer you a charming ambiance and decor whilst you can enjoy the various innovative recipes in those outlets. 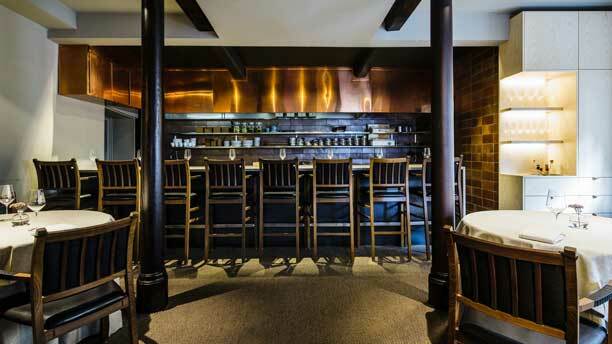 There is fine collection of exotic red meats and seafood in this Nordic paradise and then there is of course the fascinating wine collection. Starting from pickled herring to marinated salmon along with dill potatoes, Sweden offers its tourists to explore many flavors. Then there is of course the famous Jansson’s temptation a famous Swedish Christmas cuisine made from creamy potato and anchovy. Raggmunk is also another dish made from potatoes which is often served with fried pork. Now if you have planned to visit Sweden in August then you should definitely take part in the awesome crayfish festival. This late-summer delicacy is often served with lobster during this seafood celebration. 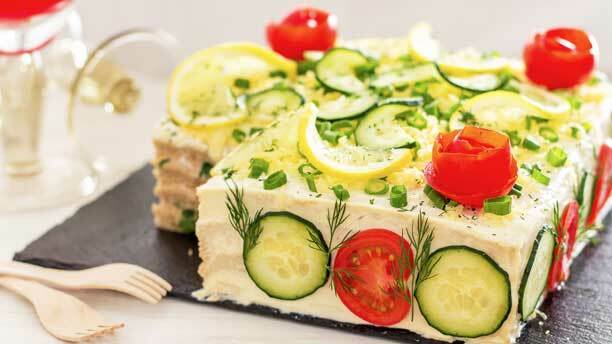 Smorgastarta: This Swedish sandwich cake is actually not a cake but a sandwich. Designed in ornamental fashion this sandwich dish is multilayered and it is often stuffed with meat, salmon, and shrimps along with vegetables. 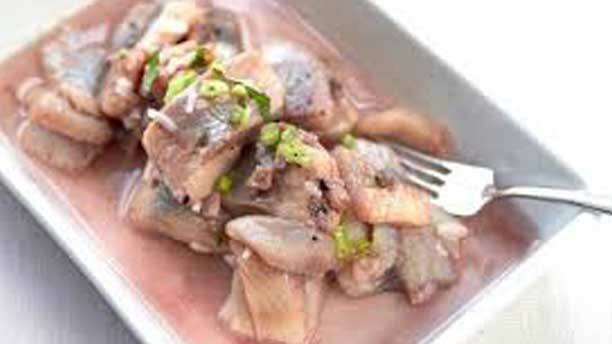 Pickled Herring: Herring is very popular throughout Sweden and the other Nordic countries and pickled herrings are one of the popular national dishes in Sweden. 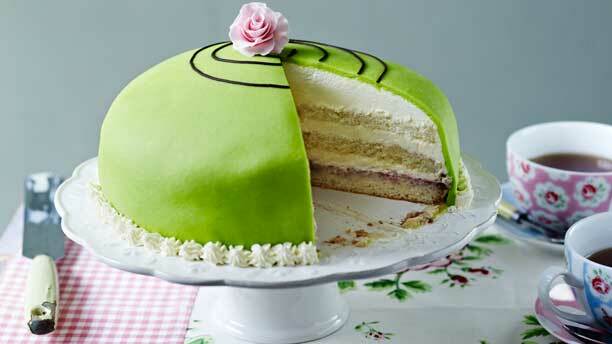 Prinsesstarta: This dessert cuisine is basically a sponge cake with layers of jams wedged in-between. 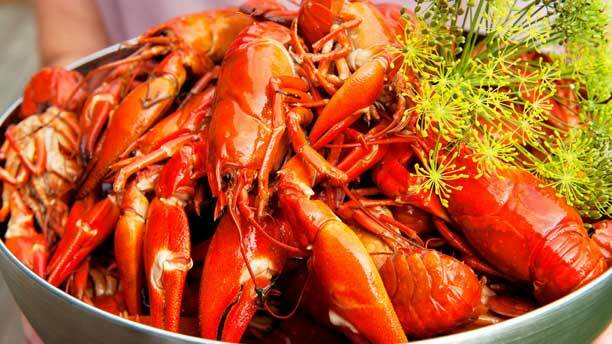 Crayfish:Sweden is known for its seafood and crayfish dishes are very popular all across the country. 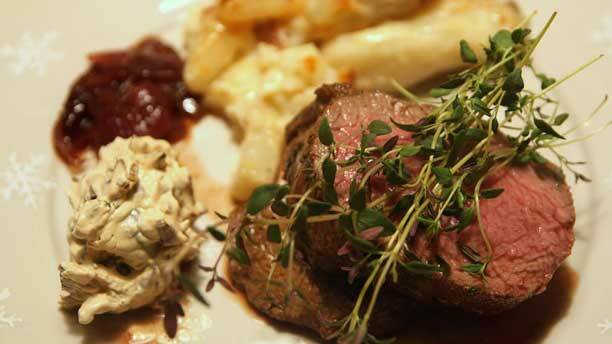 Elk:When you go up in the Nordics it is not uncommon to encounter some fabulous deer meat, venison as they are normally called, and elk preparation in Sweden is simply awesome. 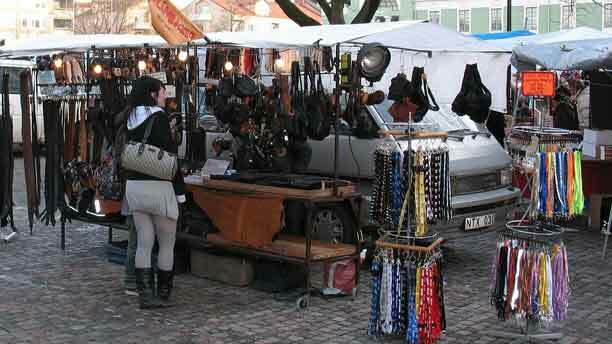 Sweden is full of its charm and some funky markets. 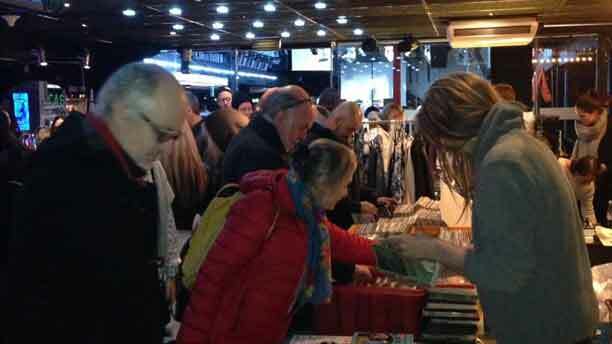 Whilst some farmer's markets sell some exotic food items like elk and wild boar meat, along with Nordic pickles and spices, there are also some fascinating flea market where you can get beautiful Swedish furniture at a bargain. 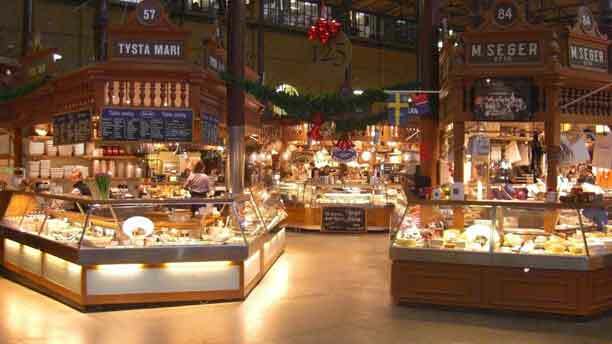 Shopping in Sweden is truly a marvelous adventure as you will encounter things on display which you have never seen before. The currency of Sweden is Swedish Krona. As per the current market situation one Swedish Krona is equivalent to 8 Indian rupees. However, you might not need to carry a lot of cash because most of the restaurants and hotels accept credit card as a method of payment. The good news is that Sweden is practically cashless and only an international credit card will suffice. Even public transportation can be paid by your ATM card and even online. The fabulous part is that you can also tip the waiters in the Swedish restaurants online. However, if you are planning on going for shopping in some of the exotic markets then carry some Krones, but a little bit of cash is sufficient. Since Sweden is completely cashless it is important that you carry the minimum cash with you. Along with your international debit card you should also keep your international credit card handy. Gain prior knowledge about the Western Union money transfer centers around your hotel. Even if you are willing to pay anyone with Swedish Krones make sure that they return you the correct change. Since Sweden is almost a cashless economy many people might not have changes to bigger denomination of the currency. That is why carry some small changes and notes with you, in case you need to pay someone by cash. As Sweden is a part of the Schengen Agreement, in order to visit Sweden you need to get a Schengen Visa for visiting Sweden. Applications for the Visa are needed to be submitted to the VFS Application Centers or to the Swedish Embassy. You can find out more details about the proceedings in the website of the VFS Global. The good news is that it takes only a week for you to obtain a travel visa to Sweden. If you follow the proper steps Schengen Visa is not difficult to get. In order to obtain in your Visa quickly you need to fill the Schengen Visa application form online with correct details. You need to have a complete flight itinerary (along with the return flight) ready before you plan to apply. Passports and two copy of your photographs are mandatory along with a proper travel insurance. If you are employed or self-employed, you need to show proper records along with licenses and registrations. A No-Objection or leave permission from the employer is also needed. You also need to submit your hotel booking proof. Even though Sweden is regarded as one of the safest countries in the world, it has its own drawbacks. The police is not very active especially in the remote areas of the city. That is why it is important that you avoid any confrontation when there is a street fight or mob violence. Keep your belongings close to you though the chances of theft are negligible. It is advisable that you travel in groups and avoid unnecessary confrontations. 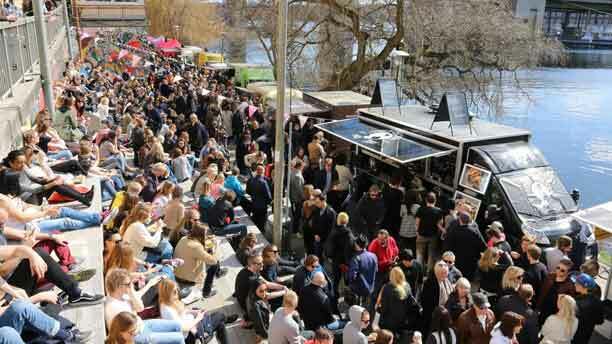 The sea-food loving Swedes have a very liberal culture and great taste of festivals. The Nordic forests casts their own charm on the tourists. 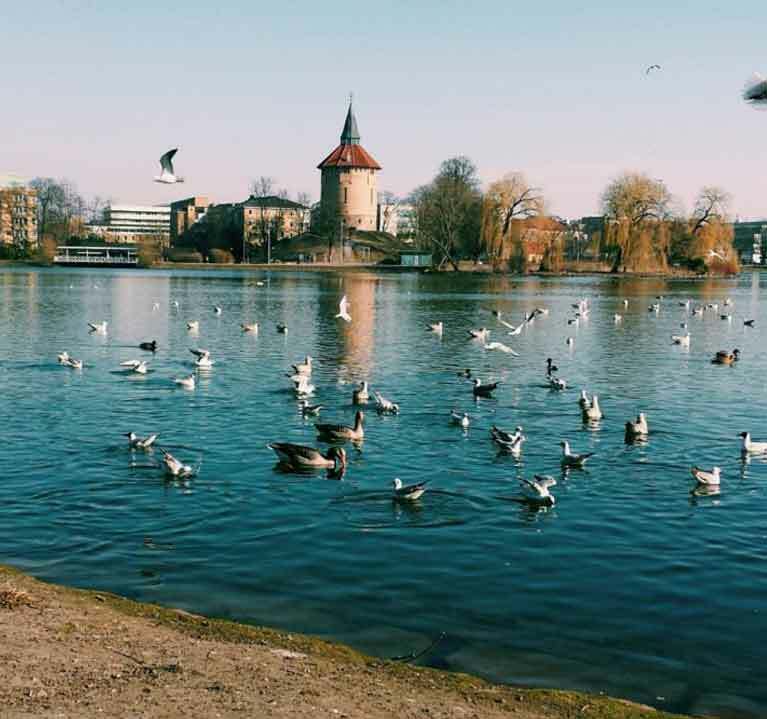 Sweden has a wide variety of Nordic animals and perhaps a treasure-chest for animal lovers around the globe. Some of the animals including the white-tailed deer, certain variety of moose, along with the arctic foxes and wolves are only found in the country of Sweden. 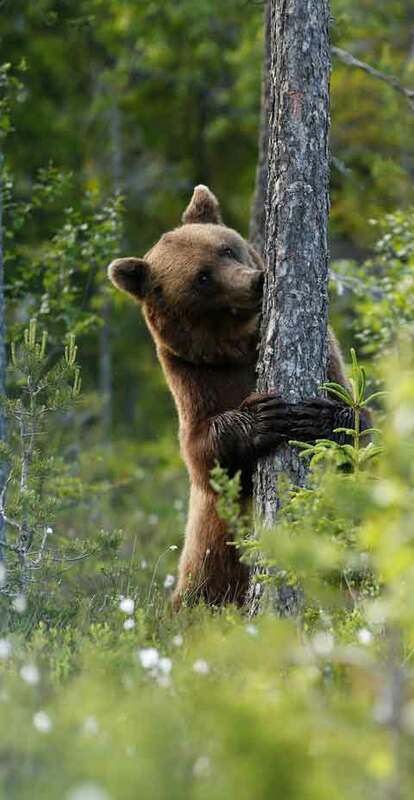 Apart from that, there are certain lynx and bear which have their safe habitat in the dense Nordic forests. Apart from these, Sweden is full of good old deer collection. Never short of a good old game, the Swedes have plenty to choose from the different varieties of deer like the fallow deer, elk, red deer, reindeer, moose, antelopes, white-tailed deer and many other varieties of deer. Whilst some of the species of deer are protected by the government the Swedes are free to hunt and eat many other forms especially the ones which are available in abundance like the elk and the moose. 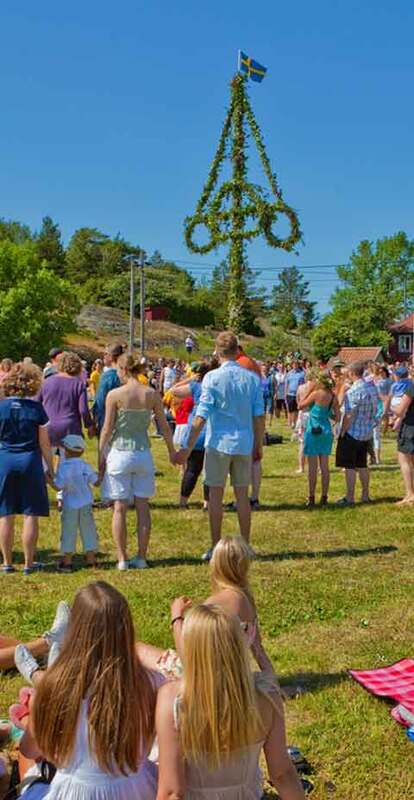 Visit Sweden from June to August to see the hight of Swedish festivals. Midsummer Night is definitely a summer festival which is worth mentioning as both children and the adults get themselves covered in floral wreaths and indulge in a scrumptious dinner with herring, salmon, and newly bred sweet potatoes. The crayfish festival is also right after it in the month of August and the celebrations are similar in nature. The crayfish festival or also known as the crayfish party is a mid-summer festival which gathers a huge crowd and plenty of open-air eating and drinking involved. Introduced back in the 1900's this festival is till date one of the most celebrated authentic Swedish festivals of all time. This is the only time the Swedes are allowed to catch the crayfish thereby making it once-in-a-year event for them. Sweden is known for its inclusive and tolerant culture. It is in fact the Viking culture of maintaining communal harmony which has played a very essential role in shaping the current Swedish culture. 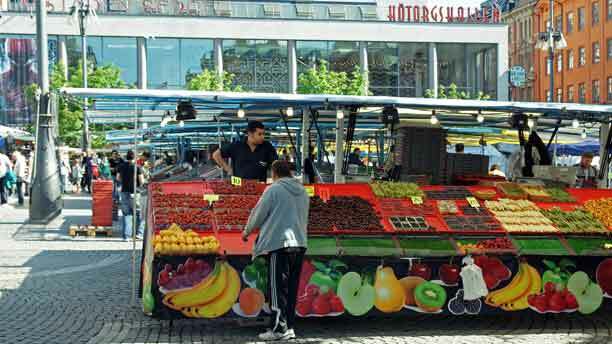 The Swedes like to gather round within their community and they are not hesitant to welcome foreigners in their mix. They are well known for the little coffee breaks called the Fikas and there they get to know each other and exchange their thoughts. 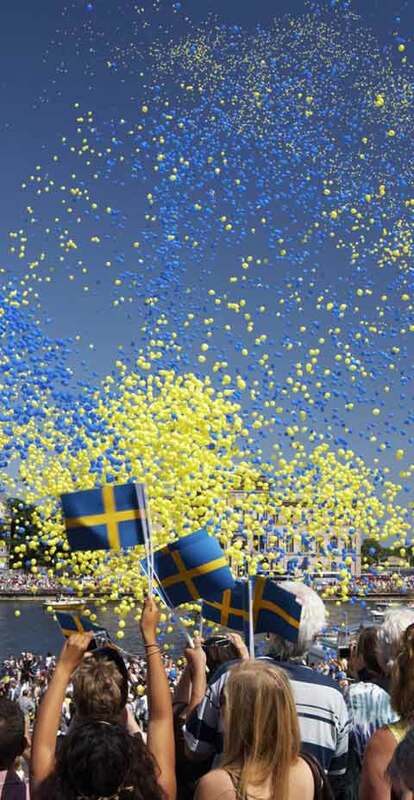 All the Swedish festivals are centered on the community and you, despite being a foreigner, can be a part of it. The practices of the Viking culture are still prevalent in some parts of Sweden and it is something which makes them proud. However, you will hardly find a Swed boasting about anything because they are normally humble by nature. Swedes are very hospitable by nature and if you fail to thank them then they feel really offended.